Is running in the mountains your passion? 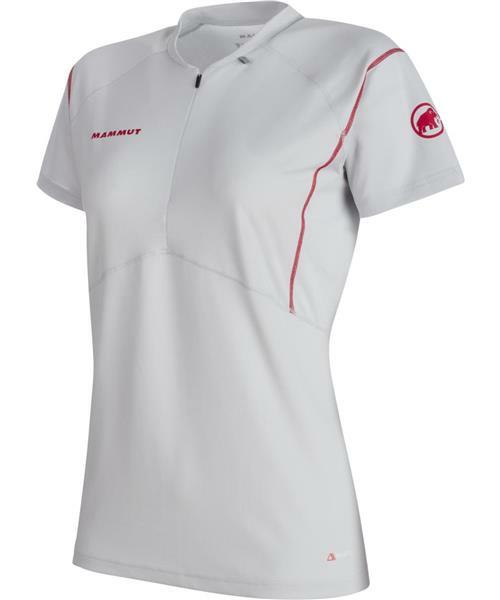 The Sertig Half Zip T-Shirt Women will accompany you on your next mountain training session. The T-shirt is made from a lightweight, comfortable and stretchable material that helps to reduce unpleasant odors thanks to an antimicrobial treatment with FreshTech. Active moisture-wicking transports sweat away from your skin to prevent rapid chilling. The front zipper allows you to adjust the ventilation to your individual needs. Flatlock seams give the shirt extra elasticity and prevent chafing. There is also the option of securing the cable of your earphones to the collar of the T-shirt. A T-shirt to boost your training success.